phakic An eye that still has its natural lens. When an eye is aphakic, usually the lens has been removed during cataract or other eye surgery. IOLs (intraocular lenses) are an alternative to LASIK and PRK eye surgery for correcting moderate to severe myopia (nearsightedness), and in some cases produce better and more predictable vision outcomes than laser refractive surgery.
. Phakic lenses enable light to focus properly on the retina for clearer vision without corrective eyewear. Also, phakic IOLs offer a permanent correction of myopia, unless the lens is surgically removed. Unlike contact lenses, you can't feel a phakic intraocular lens in your eye (much like you don't feel a dental filling for a cavity) and, apart from regular eye exams, phakic IOLs typically do not require any maintenance. -approved phakic IOLs currently are available in the United States. Your eye surgeon will recommend the most appropriate implantable lens for you. Visian ICL. The Visian ICL (Implantable Collamer Lens) marketed by Staar Surgical is a posterior chamber phakic IOL, meaning it is positioned behind the iris and in front of your natural lens. It received FDA approval in 2005 for correcting nearsightedness ranging from -3.00 to -20.00 D. Because the Visian ICL is placed behind the iris, it is undetectable to the naked eye and can only be seen through a microscope. The Visian ICL is made of a soft, biocompatible collagen copolymer. Due to its flexibility, the lens can be folded during implantation, requiring only a small surgical incision. Verisyse. The Verisyse (Abbott Medical Optics) is an anterior chamber phakic IOL, meaning it is positioned in front of the iris. In 2004, the Verisyse phakic IOL received FDA approval for correcting moderate to severe nearsightedness within the range of -5.00 to -20.00 diopters (D). The Verisyse lens is made of medical-grade plastic (polymethylmethacrylate, or PMMA) and is rigid in form. In Europe, it is approved and marketed under the trade name Artisan. Verisyse IOLs typically aren't noticeable in the eye, though you may see the lens if you look closely in the mirror. The Visian ICL (Implantable Collamer Lens). version of the Visian ICL is being studied for correcting astigmatism as well as nearsightedness. LASIK currently is the most popular type of refractive surgery in the United States. It is safe and effective, and technology advances such as custom LASIK and bladeless LASIK have made visual outcomes even better. But not everyone is a good candidate for LASIK surgery. Potential reasons for not being a good LASIK candidate include: having too much nearsightedness, farsightedness or astigmatism; having an unusually thin or irregularly shaped cornea; and having eye conditions such as keratoconus or dry eye syndrome. For many people who are outside the treatment range of LASIK, phakic intraocular lenses can produce excellent results. One recent study that evaluated LASIK versus phakic IOL surgery for the correction of -6.00 to -20.00 D of myopia revealed that the two procedures produced essentially equal odds of attaining 20/20 vision without corrective lenses one year after surgery. The study also found that patients who underwent phakic IOL implantation had better contrast sensitivity and were more satisfied with their outcome than LASIK patients. Neither technique caused significant complications that permanently affected vision. "Our findings suggest phakic IOLs are safer than excimer laser surgery for correcting moderate to high levels of short-sightedness," said lead author Allon Barsam, MD, of the Moorfields Eye Hospital NHS Foundation Trust in London. The cost of phakic IOLs also should be taken into consideration; implantable lenses typically are somewhat higher than the cost of LASIK. If your surgeon recommends a phakic IOL over LASIK, it may be prudent to not let cost cloud your decision to follow your surgeon's advice. After a thorough eye exam and health evaluation, your eye surgeon will advise on the best type of surgery for you. Are You A Candidate For Phakic IOLs? Is your myopia within the range for which the phakic IOL has been approved (up to around -20.00 D)? Have you had a comprehensive eye exam to determine that your eye can safely accommodate an implantable lens? Of particular importance is the depth of the of your eye and the health of the corneal . Are you between the ages of 21 and 40? Even if you are outside this age range, you may still be a candidate for a phakic IOL and should discuss it with your eye surgeon. While a phakic IOL does not treat blurry near vision due to , a normal age-related condition that generally starts in your early 40s, IOL surgery can reduce your need for . Has your eyeglass or contact lens prescription changed in the past year? For vision correction surgeries, you must have had stable vision for at least a year. Are your eyes healthy? Conditions such as , and untreated generally will prevent you from having a phakic IOL. Are you in good health? Certain degenerative or autoimmune diseases such as , rheumatoid arthritis, type 1 diabetes, HIV and AIDS, as well as certain medications such as steroids and immunosuppressants may interfere with healing and final outcomes. Will the cost of phakic IOLs — from pre-screening to ongoing regular check-ups — be covered by your ? Before. If you wear contact lenses, you should stop wearing them at least one week before your preoperative eye exam and/or consultation. Contacts can alter the shape of your cornea and therefore make your refractive error reading less accurate. The iridotomy procedure typically is performed in-office and is relatively quick, taking only a few minutes for each eye. It is important that you follow your surgeon's instructions after the procedure to minimize any possible complications. The Visian ICL is positioned in the posterior chamber of the eye behind the iris and pupil and in front of your natural lens. Once inserted, the artificial lens unfolds to its full width and typically does not require any stitches. An eye shield is then placed over your eye and needs to be worn for a day or two after the procedure. Vision with the Visian ICL tends to stabilize in about one to seven days, which can be quicker than with the Verisyse lens. You will need to return for a follow-up visit with your doctor the next day. 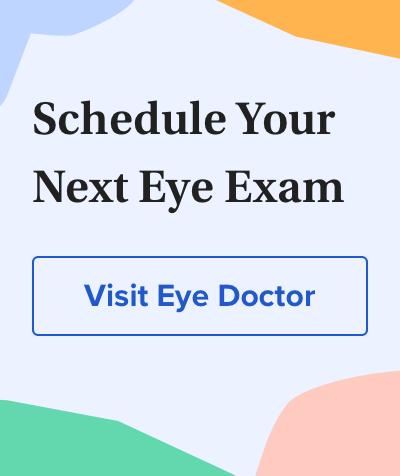 It's essential that you follow your eye surgeon's post-operative instructions carefully and attend frequent check-ups to help avoid any complications. In a study of 3-year outcomes of the FDA clinical trial of the Verisyse lens, 84 percent of patients achieved uncorrected vision of 20/40 or better, which is the legal limit for driving without prescription eyewear in most states. And 31 percent achieved uncorrected vision of 20/20 or better. In FDA trials of the posterior chamber Visian ICL, 81 percent of patients achieved uncorrected visual acuity of 20/40 or better. Forty-one percent attained uncorrected vision of 20/20 or better. Patient satisfaction with the quality of vision with both types of phakic IOLs was generally high. Some patients, particularly those with very severe myopia, elect to undergo LASIK as a follow-up to further improve vision after phakic IOL surgery. Phakic IOLs are an effective option for people with moderate to severe nearsightedness who fall outside the treatment range of LASIK. When considering implantable lenses — or any refractive surgery — be sure to discuss all the benefits and risks with your eye surgeon. Aimee Rodrigues also contributed to this article.